Singapore, 12 October 2016 – Ignite your curiosity about space travel and be inspired by the triumphant milestones in human space exploration with ArtScience Museum upcoming blockbuster exhibition, NASA – A Human Adventure. Opening on 19 November, the show will be the largest space flight exhibition ever to be held in Singapore, with over 200 historically significant artefacts on display including items which have flown in space. 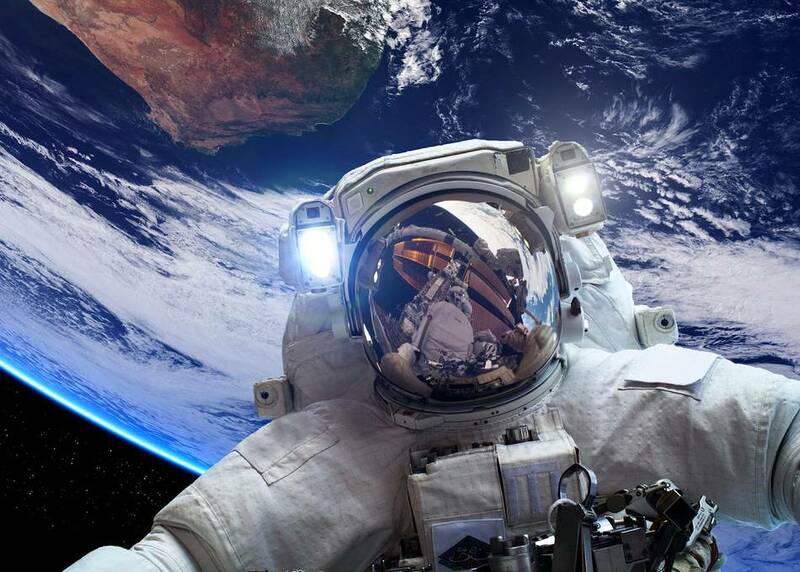 The exhibition tells the inspiring story of the National Aeronautics and Space Administration’s (NASA) huge achievements in space flights and exploration, from the time the first space rocket was launched to the latest accomplishments in manned space flights. Visitors can get up-close with the extraordinary spacecraft that NASA has developed, and discover the stories of the people who flew them. Amongst many incredible highlights, the show presents exhibits on the gigantic Saturn V Moon Rocket, full-size models of the pioneering Mercury spacecraft, the Apollo Command Module that carried the first humans to the Moon, the Rover astronauts used to explore the Moon, and a full-size model of the front section of NASA’s iconic Space Shuttle. The exploration of space is an astonishing human story. NASA – A Human Adventure shows the spirit and fortitude involved in surviving in space, and reflects on the sacrifices of the men and women whose own journeys into space ended in tragedy. The exhibition also shows that space exploration has always been an international endeavour, and how the Space Race grew out of the rivalry between the United States and the Soviet Union. Through the presentation of modern achievements, such as the development of the International Space Station, the show reveals how space now brings countries and cultures together. “This is a once-in-a-lifetime opportunity to see the spacecraft, rockets and technology that changed history and our understanding of our universe. NASA – A Human Adventure is a blockbuster exhibition that brings visitors on an extraordinary journey through 100 years of human space adventure, starting with the dreams of artists and writers, and culminating with engineering marvels that changed the world. Space is a topic that touches all of us, and the endeavours of the astronauts and cosmonauts that pioneered this new frontier over the past decades, have captivated generations of people from around the world. By bringing the largest travelling space-flight exhibition ever assembled to ArtScience Museum, we hope to give our visitors in Singapore and South East Asia a unique chance to become part of this incredible story. New technologies are showing us that space exploration has an exceptionally dynamic future, and we want to inspire visitors of all ages to be part of that future,” said Ms Honor Harger, Executive Director, ArtScience Museum at Marina Bay Sands. Produced by John Nurminen Events B.V. the exhibition made its world premiere at Tekniska Museet (The National Museum of Science and Technology) in Stockholm, Sweden in 2011. Since then, it has travelled to Madrid, Istanbul, Tokyo, Bangkok, Seoul and Taipei, among others. Singapore is the next stop. “It is a great honour to bring NASA – A Human Adventure exhibition to ArtScience Museum. Through the exhibition, we seek to inspire everyone to dream big and aim high, just like everyone in NASA has always done. It takes a great deal of skill, discipline, education and training to become a NASA engineer or an astronaut. We want to encourage the young generation to continue to take big steps to explore the world outside the Earth’s atmosphere. It is essential for all of us on this planet to keep exploring what lies beyond. We welcome all visitors to experience NASA – A Human Adventure, the story of one of mankind’s greatest achievements and be inspired by the remarkable history of manned space flights,” said Mr Jukka Nurminen, Director & CEO of John Nurminen Events B.V., the producer and exhibition curator of NASA – A Human Adventure exhibition. Narrated through five galleries – Dreamers, Go Fever, Pioneers, Endurance and Innovation, NASA – A Human Adventure introduces visitors the people, technology and engineering feats that have captured the imagination of many, while inspiring dreams of future space exploration. The Dreamers Gallery 1 focuses on dreamers – the men who dreamed of space exploration and devoted their lives to making that dream a reality. Visitors will be treated to a display of portraits of Leonardo Da Vinci, Jules Verne, H.G. Wells, Chesley Bonestell, Robert McCall, and other famous individuals who showed an interest in space: writers who imagined space travels, and artists who dreamed on how other worlds might appear. Go Fever Go Fever provides visitors with a historical journey of the conquest of Space Race between the United States and the Soviet Union as a direct result of the Cold War. This race allowed major achievements in space technology, rapidly pushing the boundaries of human achievements. This gallery will reveal the triumphant space discovery-related events in history: the Soviet launch of Sputnik in 1957, the first man made satellite to orbit the Earth; the establishment of NASA by American President Eisenhower in 1958; Soviet cosmonaut Yuri Gagarin, the first human to journey into space in April 1961 and astronaut Alan Shepard, the first American in space in May 1961. Pioneers This gallery is dedicated to the genius rocket scientists and engineers who made the ambitious dreams of space travel a reality. Their remarkable technological achievements are truly awe-inspiring. The Pioneers gallery shows the amazing and swift evolution of rockets created by NASA scientists. On display is a 10-metre long model of the Saturn V Moon Rocket, the largest and most powerful launcher ever successfully used and is the only rocket capable of taking men to the Moon and back. Endurance This gallery explores the challenges of travelling to space and surviving the hostile environment. Visitors will learn about the endurance of the astronauts in space and their daily lives from what they wear and eat to the instruments and hardware that they used on their missions. The gallery will also share knowledge on the lunar landing and the special rover used as astronauts made their explorations on the Moon. Innovation Innovation is always at the heart of space exploration – new ideas and ground breaking technologies which contributed to making the impossible, possible. Visitors will be introduced to the innovations that took Americans to the orbit and the Moon. Highlights of this gallery include full-sized high-fidelity replicas of the Mercury capsule, the first American manned spacecraft; Gemini capsule, versatile spacecraft designed to practise the Moon missions; Apollo Command Module that carried the first humans to the Moon and back as well as the Space Shuttle that carried out numerous complex missions in orbit.